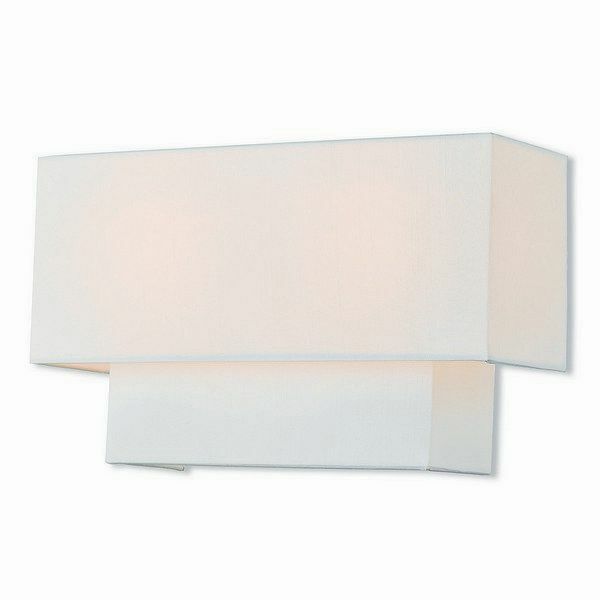 Livex 51046-91 - The sleek style and simple design of this wall sconce makes it easy to use in any space. The double hand crafted off-white fabric hardback shade gives it a clean look. Dimensions: 13" W x 8" H x 3.875" Ext.